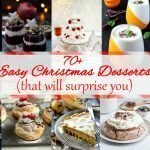 Easy tiramisu recipe is your saver during holiday season. 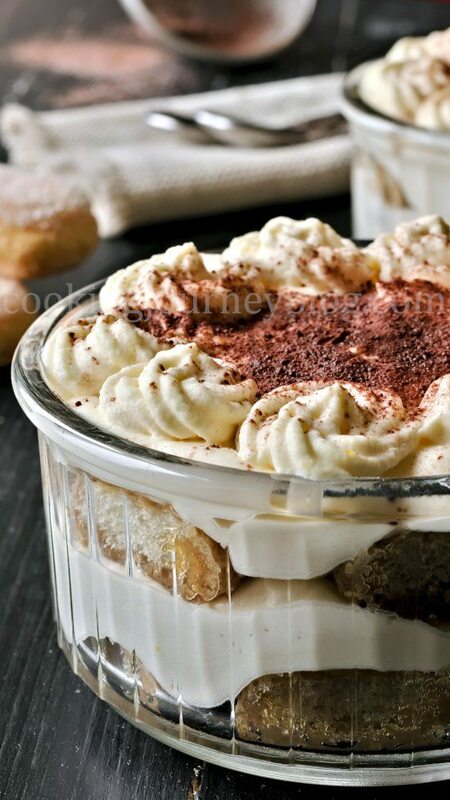 It is one of the best Italian coffee desserts. This tiramisu has no raw eggs. 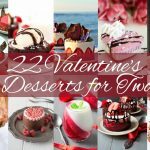 Easy and romantic dessert for two, served in individual ramekins. 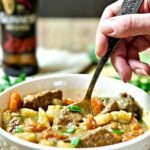 Truly wonderful recipe! This recipe makes 4 individual tiramisu. Authentic tiramisu is made in Italy by Italians. So as I’m not both, but I enjoy this romantic dessert so much, I make it a little bit different. 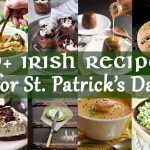 Main ingredients are heavy whipping cream, Mascarpone cheese, coffee, lady finger biscuits, cocoa and Baileys Irish cream. 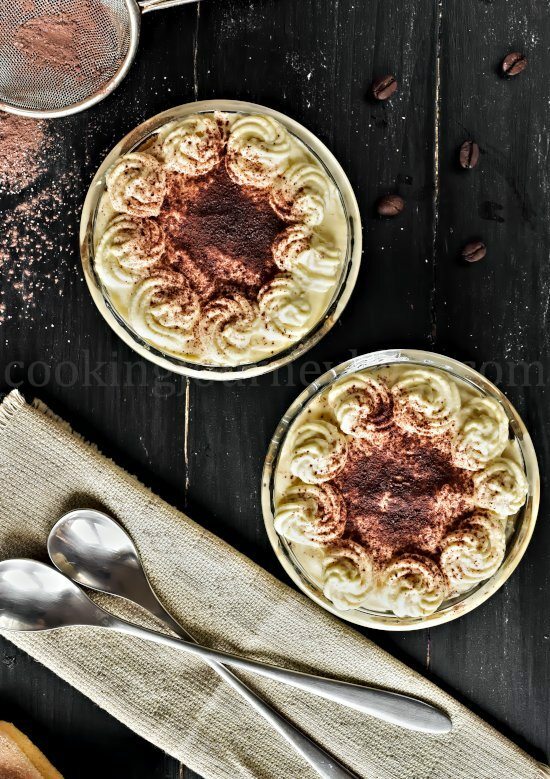 You can also sweeten this tiramisu coffee dessert with sugar and vanilla. Soft, indulgent, rich… I think these words describe tiramisu right. Oh, and if you never tried it, you’re missing out. However, if you landed on this page, it means you’re looking for a good tiramisu recipe? Well here we go. Classic tiramisu, with no raw eggs. And if you even tried tiramisu, you will be delighted by making it maybe more delicious, creamy using Baileys instead of Marsala wine. What’s great, I don’t like to make a mess, serving tiramisu. 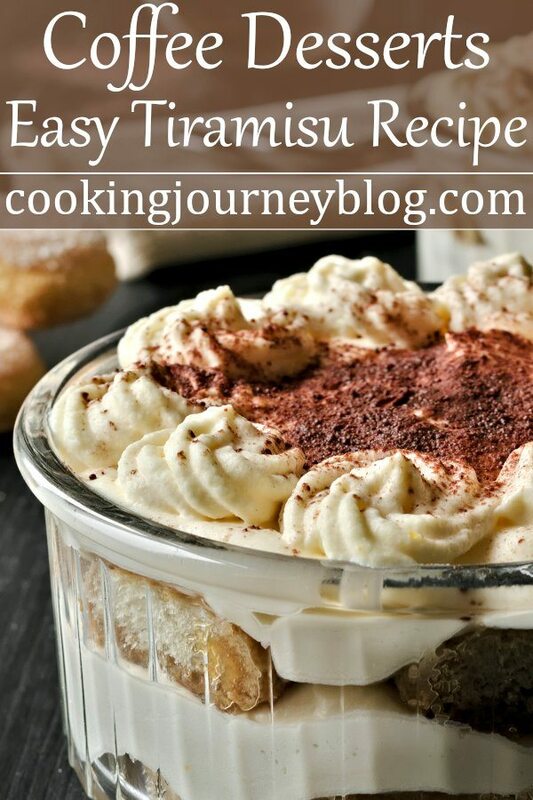 This easy tiramisu is already made in single serving ramekin (better in glass, so you can see the layers). And serve these individual tiramisu cups right from the fridge. Firstly, because raw egg is a big no-no at our home. Even using farmers eggs, the most that I can do is leave a running egg yolk like in this asparagus recipe. But raw eggs, please no. Believe me, you will be completely satisfied with this tiramisu dessert! But it doesn’t mean that we can’t use eggs in this luscious tiramisu recipe! 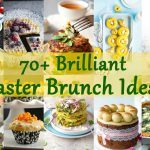 Recipe actually includes cooking egg yolks with some Baileys on a double boiler. Just whisk liquor with egg yolks, sugar and heavy cream in bowl over a small pot with water, simmering on a low heat. It will take about 5 minutes to thicken. There is a coffee and alcohol used in this dessert. 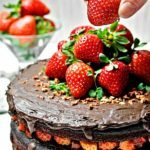 If you need a more kid-friendly recipe, check out our Strawberry tiramisu. 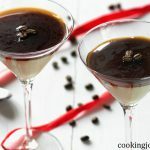 I’m a big fan of coffee, as I already mentioned in our post about Coffee panna cotta. You need to make a good Italian espresso or strong coffee for tiramisu! As we have a coffee machine, I’ve made one for me and one for tiramisu dessert and let it cool. You can make the coffee the way you like, but it should be strong. Maybe pour a one spoon more than in your average coffee preparation. 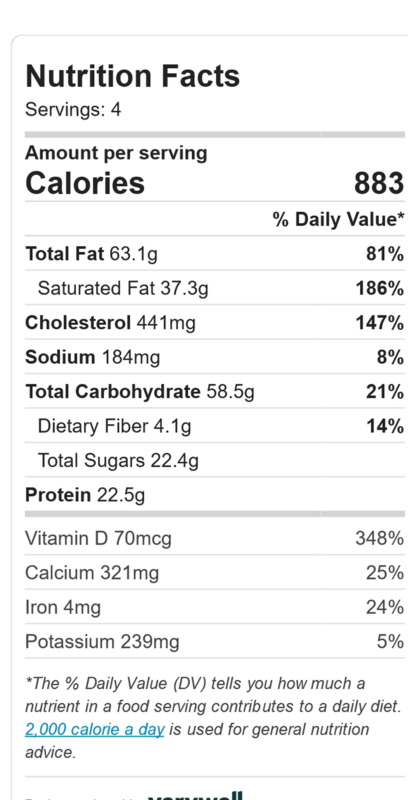 By the way, if you are sensitive to caffeine, you can use Decaffeinated coffee. There are certain recipes that use instant coffee for tiramisu. I don’t like it. It adds some coffee flavor, but not so strong. But if you like, you can use strong instant coffee mix instead. It is so good, sweeten with Baileys liquor! I know, most of Italians use Marsala. But Baileys is so good with coffee! You can also use Sherri or Dark Rum. By the way, you definitely need to check our No bake Bailey’s cheesecake. 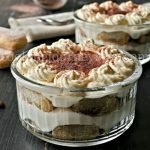 What I can’t change in tiramisu recipe is savoiardi or ladyfingers biscuits.Traditionally used in tiramisu, these biscuit are light and dry, soaks coffee really well. 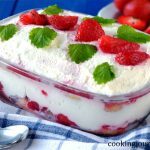 What I love about this dessert, you can prepare it ahead of time. To my mind, the more it sits in the fridge, the better it tastes. However, I don’t recommend storing homemade tiramisu more than 5 days. What’s more, I think it is better enjoyed the next day, when all flavors are infused and dancing together in your mouth! We enjoy our tiramisu fresh! But you can also freeze it for a month and enjoy defrosted in 30 minutes in room temperature. This recipe is easy to follow. First, to make coffee you will need 12 g coffee for big cup of espresso (100ml). Mix the hot brew with 1 tbsp Baileys and 1 tbsp sugar. Leave aside to cool. For Baileys cream mix 3 egg yolks with 2 tbsp sugar, 2 tbsp Baileys, 3 tbsp heavy cream on a double boiler or Bain Marie. It means cooking egg yolks and sugar in a bowl that is placed over the pot with hot water boiling. It will cook the eggs, so nothing raw will remain, I promise. Whip 380 ml heavy cream until fluffy and in another slightly whip 370 g Mascarpone cheese. Using a spatula gently incorporate whipped cream into Mascarpone cheese. Take your time, work mixing in infinity or 8. Add cooked and cooled Baileys cream that you already made and again, using spatula gently incorporate it just until it mixes through. You can use regular cream cheese instead of Mascarpone. However, Mascarpone is more buttery, creamy, rich and less tangy. You will need 160 savoiardi or ladyfinger biscuits. Cut savoiardi in half, then dip into your brewed coffee. Put coffee soaked biscuits in ramekins in one layer. Cover with Mascarpone cream until half of ramekins. Repeat. Make a smooth topping. Sieve on top 100 g of sweetened cocoa powder. With a leftover cream mixture pipe dollops around the ramekins. Leave in the fridge for at least couple hours. Hope you will enjoy this tiramisu dessert as much as we do! This is our favorite no bake dessert of all times (sorry, panna cotta). It is so indulgent and rich, with soft coffee soaked savoiardi biscuits. 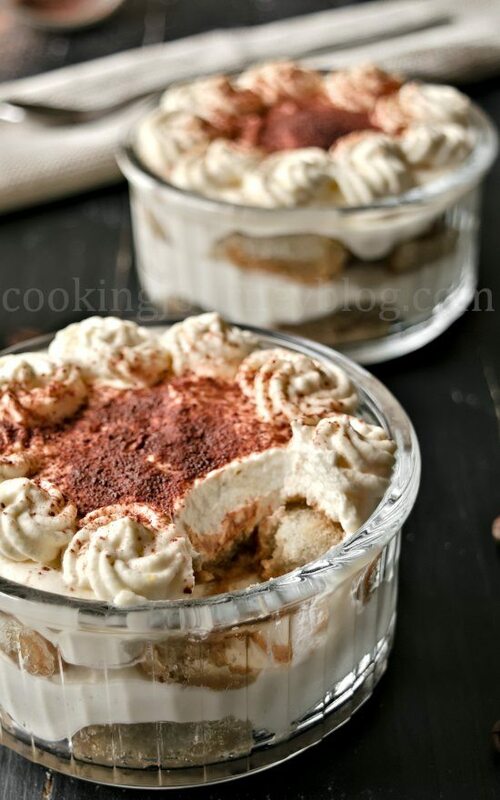 It is hard not to love coffee flavored dessert like this wonderful tiramisu! 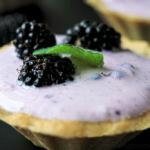 It is a classic dessert that everyone needs to make once in a while. We think you will love this version more than authentic tiramisu. Moreover, this individually served tiramisu looks awesome on the table. Make coffee - a big cup of espresso (100ml). * Mix the hot brew with 1 tbsp Baileys and 1 tbsp sugar. Leave aside to cool. 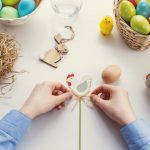 For Baileys cream mix egg yolks with 2 tbsp sugar, 2 tbsp Baileys, 3 tbsp heavy cream on a double boiler or Bain Marie for 5 minutes until thick. Let it cool. Whip heavy cream until fluffy and in another slightly whip Mascarpone cheese. With a spatula gently incorporate whipped cream into Mascarpone cheese. Take your time, work mixing in infinity or 8. Add Baileys cream mixture and again, using spatula gently incorporate it just until combined. Cut ladyfinger biscuits in half, then dip into your brewed coffee. Put coffee soaked biscuits in 4 ramekins in one layer. Cover with Mascarpone cream until half of ramekins. Repeat with biscuits and Mascarpone cream on top. Sieve on top sweetened cocoa powder. With a leftover cream mixture pipe dollops around the ramekins. *If you don't have coffee machine, just bring coffee with 100 ml water to boil. Tiramisu is my absolute favorite dessert. 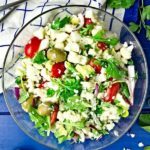 Thanks for making this recipe so easy to follow. Thank you! This is also one of our favorite no bake desserts. This is the prettiest tiramisu ever!! I can’t wait to make it! Thank you! 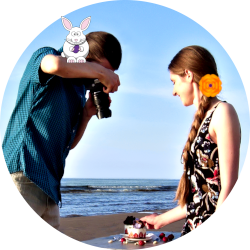 Hope you’ll be delighted! I love tiramisu, but for some odd reason, I’ve never made my own. I love how easy (and indulgent) this looks. It’s a must-try!! Absolutely! 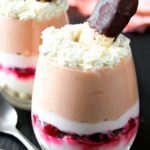 Tiramisu is one of the best romantic indulgent desserts to try. 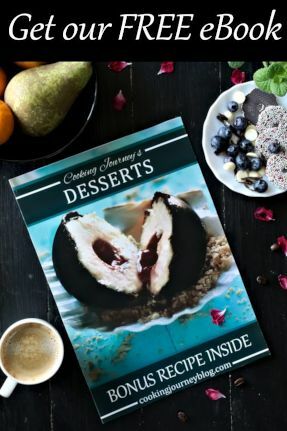 This is definitely a romantic dessert! Your presentation is beautiful. I had no idea there were raw eggs in the original version. Looks and sounds absolutely Wonderful! I love the use of Bailey’s as I agree, it goes perfect with coffee. Yep, why not? It adds sweetness, creamy-ness and delicious-ness! Such a pretty (and delicious!) dessert! I love it! Your recipe looks really simple to use and I am looking forward to making this Tiramisu. I jjust had 1 query. It says 160 lady fingers. Is it really so many or do u mean 160 gm? Hi Vanita! It is in grams, yes. You will need 160 g or less than one pack of ladyfinger biscuits to make 4 small servings. Let me know how it goes!